I took a little road trip yesterday and headed to the beach with a couple of girlfriends for a long weekend by the water! I'm so excited to relax for a few days and enjoy time with my sweet friends before J comes to meet me next week! 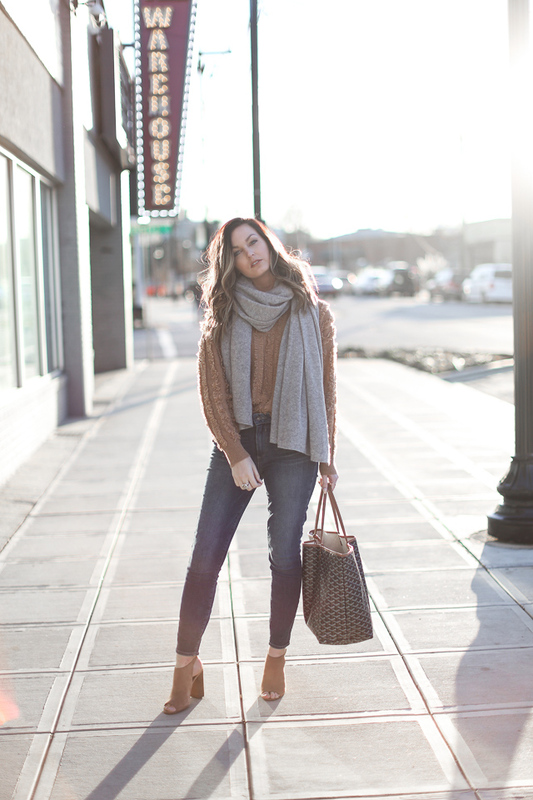 I love, love, love everything camel, but especially this sweater! 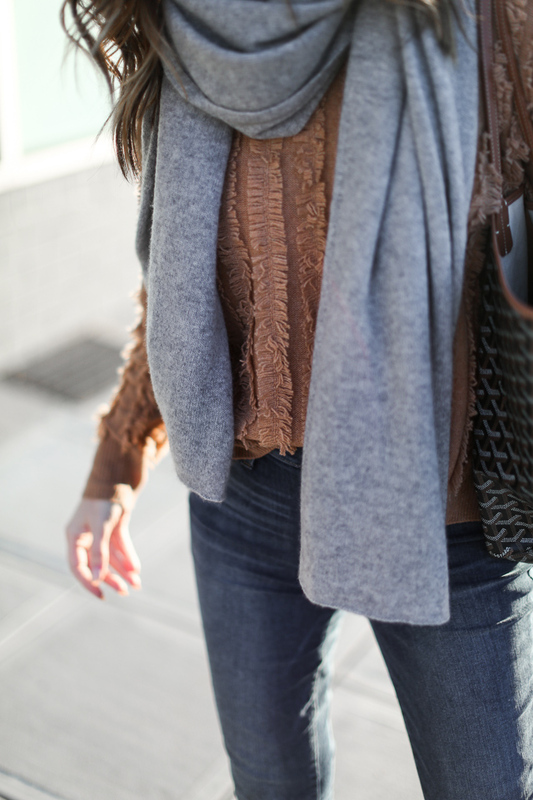 The fringe adds such a fun texture to an otherwise basic sweater and it's perfect for layering. 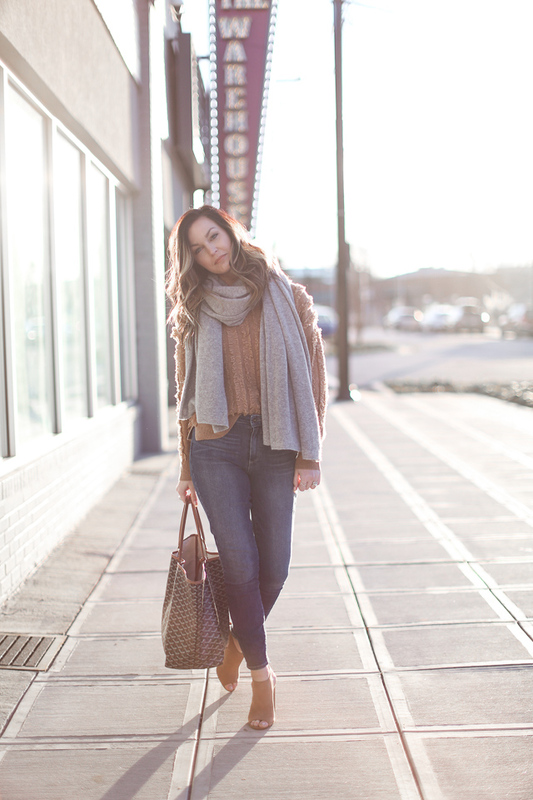 Speaking of, this cashmere travel wrap is one of my closet must-haves without a doubt! 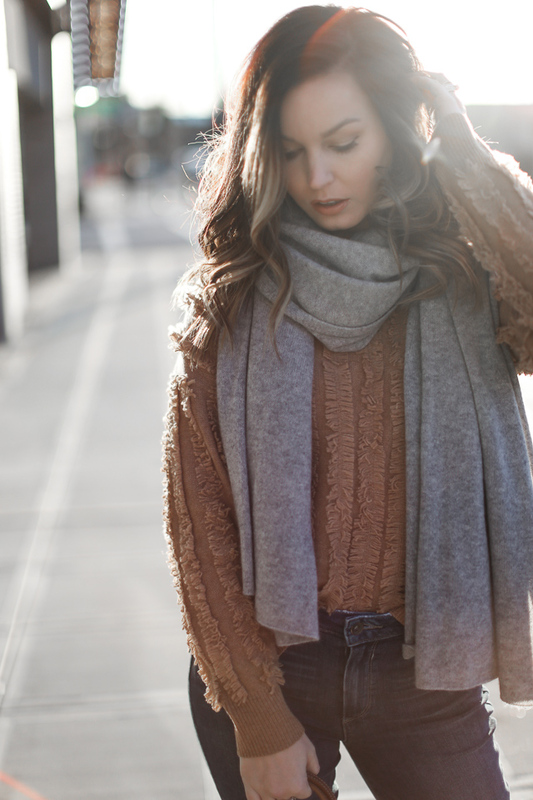 It's perfect for layering, using as a blanket on a road trip or flight, and will literally last forever. I've had this one for 3+ years and it's as good as new! I hope you all have a beautiful weekend and thanks so much for stopping by! x. That's a gorgeous sweater! I love the colour and the fringe definitely adds some personality to it. Beautiful photos and such a pretty golden hour! I like your sweater and boots very much! So gorg as always, friend! Have a great weekend! These photos are so beautiful! The lighting is perfect! 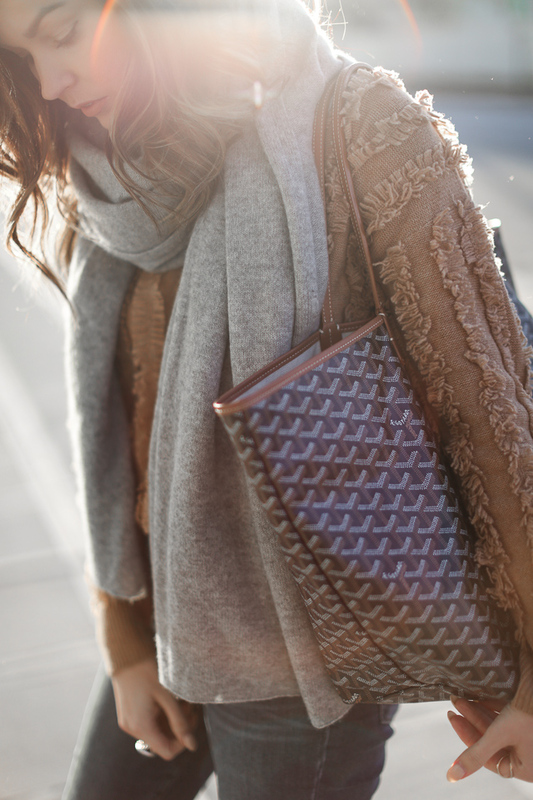 Love the whole outfit!